The risk of people developing Type 2 diabetes is lower for people who consume more whole grains, fruits, vegetables, nuts, and legumes, notes a study in PLOS Medicine. This makes sense. Type 2 diabetes is a lifestyle disease, it occurs in people who eat too many calories and don't exercise. Anyone embracing more fruits and vegetables is likely making changes across the board toward better health. That did not stop Harvard T.H. 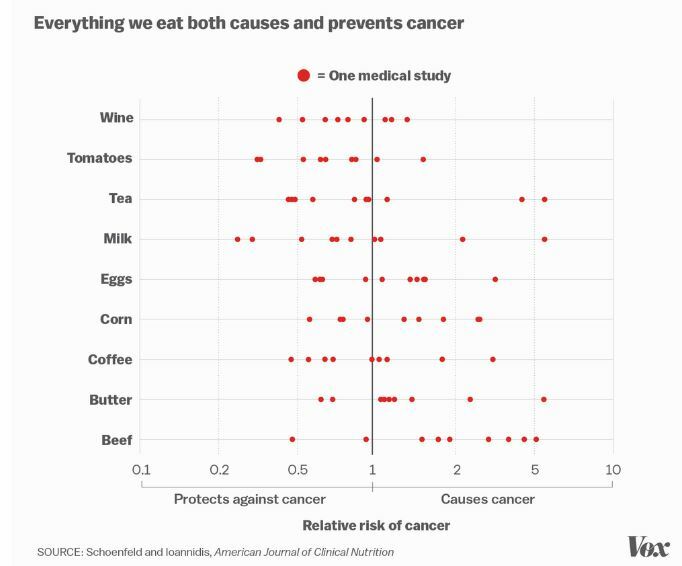 Chan School of Public Health from suggesting that being a vegetarian prevents diseases, a statement in defiance of culturally agnostic research. "This study highlights that even moderate dietary changes in the direction of a healthful plant-based diet can play a significant role in the prevention of type 2 diabetes," said Ambika Satija, postdoctoral fellow in the Department of Nutrition and lead author of the study. "These findings provide further evidence to support current dietary recommendations for chronic disease prevention." No one realistically claims sweetened foods and beverages should be mainstays of diet, including candy companies, so it seems agenda-based to claim that a vegetarian diet is better than one heavy on soda. There are few people who engage in both. But it's a diary-based survey of food recollection, and that can conclude almost anything, as this American Journal of Clinical Nutrition article showed. The questionnaires were more than 200,000 male and female health professionals across the U.S. for more than 20 years. Questions included diet, lifestyle, medical history, and new disease diagnoses. The researchers evaluated participants' diets using a plant-based diet index in which they assigned plant-derived foods higher scores and animal-derived foods lower scores. The study found that high adherence to a plant-based diet that was low in animal foods was associated with a 20% reduced risk of type 2 diabetes compared with low adherence to such a diet. Eating a healthy version of a plant-based diet was linked with a 34% lower diabetes risk, while a less healthy version--including foods such as refined grains, potatoes, and sugar-sweetened beverages--was linked with a 16% increased risk. Even modestly lowering animal food consumption--for example, from 5-6 servings per day to about 4 servings per day--was linked with lower diabetes incidence, the study found. "A shift to a dietary pattern higher in healthful plant-based foods, such as vegetables, fruits, whole grains, legumes, nuts, and seeds, and lower in animal-based foods, especially red and processed meats, can confer substantial health benefits in reducing risk of type 2 diabetes," said Frank Hu, professor of nutrition and epidemiology at Harvard Chan School and senior author of the study. In other words, they are in defiance of the science consensus on saturated fat and embrace supplements and probiotic guessing as reasons for better health. Based on self-reported data. Vegetarians will be thrilled about this, though the Chan School of Public Health is well-known as a reliable source of vegetarian advocacy already, and the media will gush over it because Harvard is behind it, but the public should use more critical thinking. The first question the public knows to ask in 2016 is, if they didn't pay to publish it, could it have passed peer review?